First, the media narrative presented the election process as a one-off ‘defeat of populism’, ‘defeat of Wilders’. Case closed, next piece of the potential domino - France. The picture is more complicated, though, and if not told, the lessons to be learned will be lost as well. Second, paradoxically, this media attention, and our own experience with discussing the Dutch election in the media, made us realise how little we, Europeans, know about each other’s political systems and political ‘habits.’ Third, the issues underlying the Dutch electoral dynamics will surface and influence the European agenda in the coming years, through a government that is yet to be formed. Viable democracies rely on much more than elections. Between-election democratic politics goes on, after the media lime-lights are out, so it is a good idea to pay attention. Hopefully, the Dutch story will contain some lessons for other European countries in terms of populism, EU-exits, media coverage, internal EU migration. The Netherlands has one of the most fragmented multiparty systems in the world. Over twenty parties competed for the electorate's votes in this election. Contrary to countries like Germany or Bulgaria there are no thresholds that political parties must pass in order to enter Parliament. In a 150-seat Parliament and almost 13 million voters, getting approximately 65 000 votes means one seat. Voters usually vote for the top seed politician on a party list, but they may express personal preferences for politicians down the party listing. This way they usually vote for female or minority politicians. On the left of the political spectrum and so far never part of a coalition government there are two other parties: the Green-Left (a motley lot of greens, pacifists and feminists) and the populist-labour Socialist Party. A number of new parties were added to the mix, creating the unusually long ballot of 28 parties, including the newly established DENK - a predominantly Turkish minority oriented party, with an anti-discrimination agenda - and a curious party of the Non-Voters. All foreign eyes were transfixed on Geert Wilders' right-wing populist Party for Freedom (PVV), which, strange enough, is actually not a conventional political party at all. With only one formal member, the PVV is an undemocratic legal construction (an 'association' and a 'foundation') for the political and social stances of Mr Wilders. 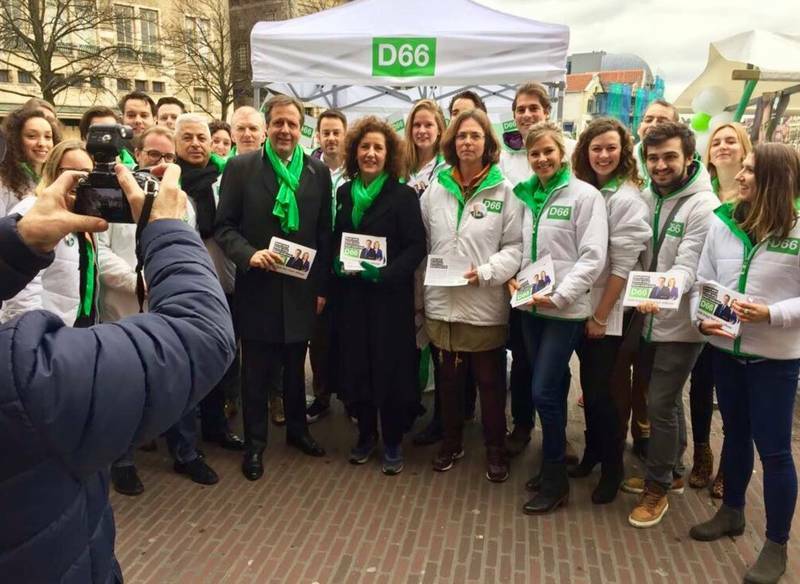 It is actually a memberless virtual political party with just one leader, consisting of an nontransparent inner circle of some 80 activists loyal to Wilders; but disinterested in creating a larger loyal membership; communicating with a sympathetic electorate only through Internet. In Germany, PVV would be denied existence on the basis of the law on political parties. An interesting detail in Dutch voting events is the tradition of school elections. While for younger pupils this is a way to get acquainted with the political system and the electoral process, the results from the upper secondary school elections are actually followed with heightened interest. Obviously, students aged 15-18 are close in attitudes to first-time young voters aged 18-25, and thus the results are a strong indication of emerging trends. The school elections' big winner this year – the Green-Left – did indeed emerge as the strongest player on the left in the actual elections, largely due to young and higher educated voters. But the more important impact of these school elections is that they are preceded by extensive political education throughout the school year, training students to orient themselves in the political landscape, to decide on ideological and policy issues and to make up their minds: a skill to be employed in the next elections. This is one of the explanations for the traditionally high activity of Dutch voters. The dominant narrative was only reinforced by the stand-off between the Netherlands and Turkey. A diplomatic scandal of this format (Dutch authorities actively stopped Turkish ministers from addressing 'their' voters living in the Netherlands), caused tension among Turkish minority citizens in the Netherlands, and obviously impacted the elections. Naturally, the media focused on the dividend to be gained by either Rutte or Wilders. Wilders found himself in a tricky position: he could not capitalise on the scandal without appearing to be a supporter of Erdogan, since Erdogan announced that by flaring up hatred towards minorities only Wilders would gain support from the events. It was the ‘mainstream’ voters who felt alarmed by the imminent threat of Wilders winning and got out to vote. 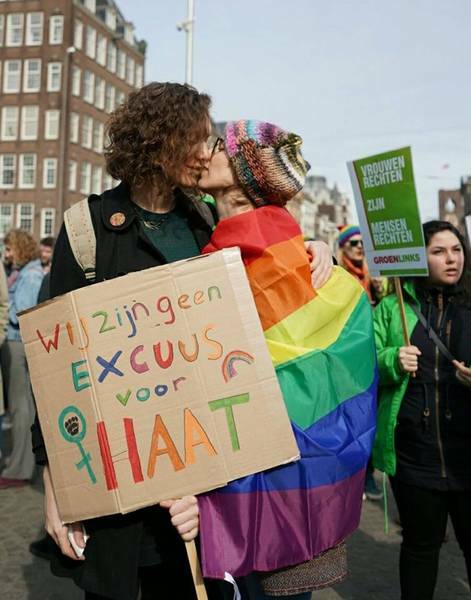 Many people thought it necessary to defend ‘normality’ in the Netherlands. In this sense, ‘the Trump effect’ - the fear of too much division and polarisation - was probably playing a role. 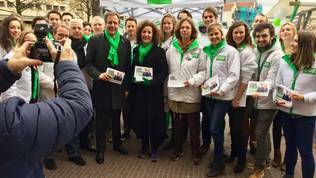 Wilders or other copy-cat parties in his populist sector did not succeed in mobilising protest votes by first-time voters who had not been engaged with ‘the system’ until now. Within this ‘normal’ range, at least 30% (some estimated them at 50 %) of the voters were undecided a day before the elections, many of them literally making a choice in the voting booth. Anecdotal evidence suggests that this happened both on the left and to the right oriented voters. Traditional party preferences were broken, sometimes after decades of stable choices. 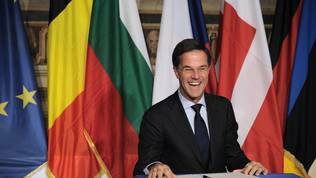 To begin with, Rutte won and lost at the same time. The ruling party actually lost a considerable number of seats and still came out first (down from 41 to 33). There are some convincing reasons for this loss. In a traditionally egalitarian society, due to harsh VVD-initiated austerity policies the distance between an established elite (15%) and uncertain workers and a precariat (30%) has grown ever larger. There is overdue maintenance and repair work to be done in some of the traditional state functions. Intended reforms in the police, the judiciary, and public prosecution have run into implementation, expertise and integrity problems. Even the tax apparatus' effectiveness is currently in doubt through badly executed reforms. All of this under the wing of a VVD-led Ministry of Safety and Justice. Most scarily, the VVD's campaign platform proposes to damage rule-of-law in the NL by abolishing the right for citizens to check Dutch law against the Universal Declaration of Human Rights and go to the European Court of Justice. The short answer is – not really. 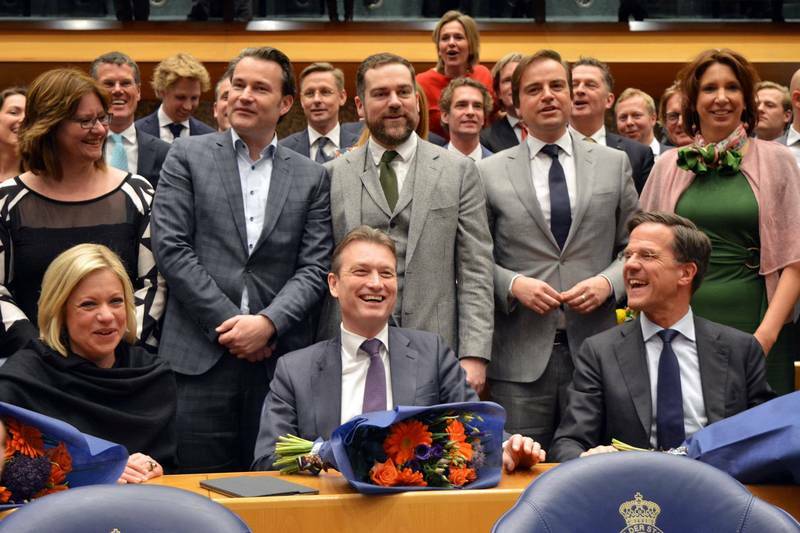 To begin with, PVV was not the only party running on an openly populist agenda. If we count the left-populist votes, the ethnic DENK party, the one-issue ‘50+’ party, and the Wilders copy-cat - Forum for Democracy - we see that almost 30% of the voters chose populism. Some of the newcomers display more radical, and more divisive tendencies than Wilders already. In this sense, populism is fragmented, dispersed, or in search of a new face. The fact that one third of the voters put faith in easy promises, unrealistic plans, or hate messages remains worrisome. A serious discussion on the nature of populism, its different versions and sources of appeal is beginning to emerge in the Netherlands. Mark Rutte tried his hand at positing a distinction between ‘good’ and ‘bad’ populism and stated that the good sort has won. Maybe, partly. Wilders, undoubtedly the most powerful and recognisable Islamophobia and inspiration to racists, took a blow by the majority of Dutch people. However, the openly racist Forum for Democracy (don’t get fooled by the name) will have two representatives in Parliament. The enfant terrible of Wilder’s hate message - the party DENK, a direct mirror response to his racist message - also found its place in Parliament with three seats. If it weren’t for the troublesome ties to Erdogan, one could be inclined to see this party in a positive light, as the hopeful sign of emancipation: minorities putting their predicament on the national agenda. One party – the Labour Party – was nearly destroyed in these elections (down from 38 to 9 seats!). Various explanations have been offered: the party has been punished for participating in a coalition with the Conservative Liberals and was forced to approve unpopular austerity measures; the party leadership was not strongly charismatic enough; they refused to go 'with the flow' of anti-refugee rhetoric. All of these are valid, but not sufficient: we may have just witnessed the death of traditional social democracy in the Netherlands. Traditionally a party anchored in mainstream Dutch politics, the Labour Party had the tendency towards clientelism, particularly for its ethnic minority voters. The new party, DENK, was established by break-away Labour MPs. Effectively, they took their electorate with them as well. Even more importantly, the Labour party did not succeed in attracting young voters, mainly due to their ambiguous message on two major issues – climate change and Europe. Europe was simultaneously the most divisive and the most obscure issue in Dutch election debate. On the surface, pro-European sentiments clearly won. For most media, end of story. During the campaign, the issue was avoided as much as possible, like the proverbial elephant in the room. It is clear to everyone, though, that the debate about the actual content of the pro-European sentiment, and the different brands of Euroscepticism will inevitably come high on the post-election agenda. Instead of dealing with migration and the EU by a populist blame game, the Netherlands and other countries as well need a serious, honest debate on all the relevant high politics issues entailed. 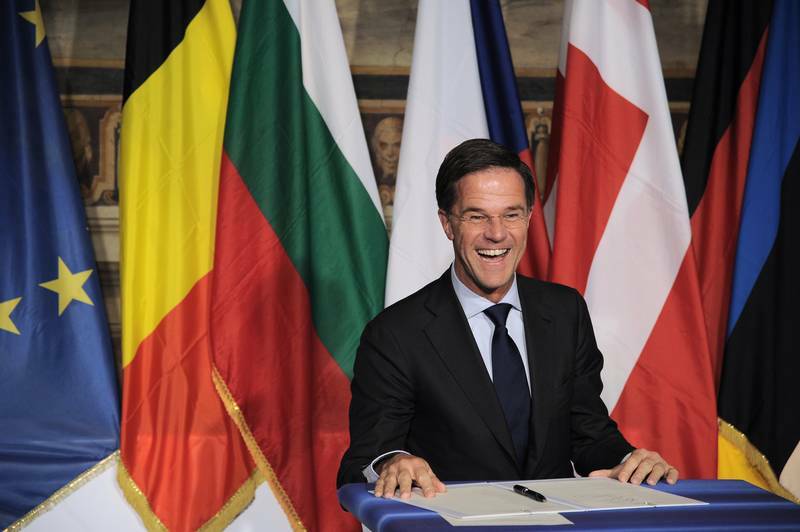 If the Netherlands must be a bellwether, let it be the inspiring first to engage in such debates in the run up to its own and other European countries' elections. First of all, the Dutch electorate was probably affected by an overall European mood swing. All over Europe, the more moderately oriented citizens disapprove of the turmoil and uncertainty sparked by Brexit and the Trump administration in the US. They simply prefer economic stability and predictability in their own lives, which, let's face it, are not so bad after all. Second, most Dutch realise that a Nexit is not an option for the open Dutch distribution economy. Dutch small and medium businesses are tied to Europe as much as the big global corporations are. Hence the Europe-friendly base in the Netherlands is probably broader than elsewhere. The Conservative Liberals and Christian-Democrats share a number of objections to the EU: to build a real Fortress Europe against refugees from the Middle East and Africa border control has to be strengthened; they share the Socialist Party's objections against uncontrolled labour migration; they want to tone down the EU's political aspirations to just economic and trade partnership; and they are in favour of a Europe of 'different speeds', meaning the Netherlands, Germany an some other countries could de-link from 'laggards' in Southern and Eastern Europe. 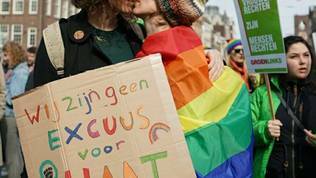 First option is a green-right, 'rainbow' coalition, consisting of the winning loser VVD, and the three winners: CDA, D66 and Green-Left (85 seats). The political and policy differences between these parties are huge; but there is policy space due to a considerable surplus on the state budget. This is why the most powerful business lobby - VNO/NCW - advocates a right-green government, in line with the idea that business needs a firm ‘greenish' government stance as push for massive green investments which make the economy fit for the future. In case negotiations for this 'rainbow' coalition break down, the second option is a centre-right government (a minimal coalition with just 76 seats), where Green-Left is replaced by the smaller Christian Union. Their push for more social justice (softening austerity policies and financial prudence) and more climate friendly measures is far more modest than Green-Left proposals. But on ethical issues, especially facilitating euthanasia procedures for old people who claim their life is 'completed', D66 and the Christian bloc of CDA/CU have unbridgeable principled differences. Tackling the deep issues of serious politics for the Netherlands in the coming years - a sustainable economic business model, a dynamic labour market flexible enough to accommodate radical technological developments, a robust pension and healthcare system able to equitably deal with an ageing population, the refugee and labour migration issues inherent and unstoppable in a globalising world, and fighting the nationalist-populist inclinations of people who feel a 'loss of entitlement' of living in a changing 'Holland' that is no longer 'theirs' - this web of issues can be dealt with only with an open mind and lots of flexibility and creativity. Governing with shifting majorities may prove to be the most flexible and adequate political answer to the challenges of a highly fragmented political landscape. 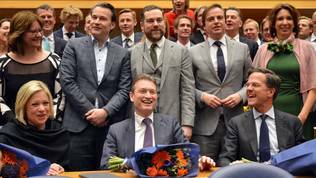 A minority government may be both risky and simultaneously the best bet for prudent governance in The Netherlands.